Do I Have to Pay Child Support From Prison? | Guest Blog Post | Yavitch & Palmer Co., L.P.A. Walter Scott, the South Carolina man shot by a police officer in early April, may have been running from the police because he feared further incarceration on a warrant over his unpaid child support obligation. And his case is by no means unique. Consider this: the average incarcerated parent with a child support case has $10,000 in back child support when entering state prison, and leaves with $20,000. If you owe child support and are facing jail time, how can you avoid thousands of dollars of debt and fulfill your obligation to your children? A Columbus criminal defense lawyer can first help you learn how child support is determined in Ohio, then see what you can do to get your payments reduced and what steps to take once released from jail. While numerous factors are at play when it comes to child support, Ohio law uses a formula that combines the father’s and mother’s gross income and arrives at a guideline child support figure. The court can adopt that guideline, or deviate from that figure if circumstances warrant. Once a dollar amount is determined, there are different methods the court can use to collect child support. Most commonly, the court will issue an order requiring the paying parent’s employer to withhold the amount of child support from that parent’s paycheck and to pay that amount directly to Ohio Child Support Payment Central. Or, if the parent is self-employed, the court can require the paying parent to set up an automatic withdrawal from a bank account. Portions of workers’ compensation benefits and retirement benefits may also be withheld to fulfill a child support obligation. Although some parents would like to be able to handle child support privately between themselves, you should never pay child support directly to the custodial parent without keeping a clear written record of all payments made. Payments made outside the OCSPC won’t get credited until that proof is shown, and even if you’re current in your obligation, the child support enforcement agency might not know it. There are some outside factors that can alter the amount of child support, such as a substantial increase or decrease in the paying parent’s income or a change in the needs of the child. But we’ll get to that in a moment. How can I pay child support from behind bars? Like many states, Ohio doesn’t automatically suspend child support when the obligor, or support-owing parent, is incarcerated. Though the Obama administration is proposing that such policies be reformed or rewritten, that change may be a long time coming. So how can a parent make enough to support his children from behind bars? State law does allow a judge to reduce or suspend a child support obligation if the parent has little or no income to speak of. However, the inmate must first file a motion with the court. Here’s the catch: few inmates are ever told of this right or how to pursue it. A criminal defense lawyer can help save you from thousands of dollars of debt piling up while you’re without an income. Here’s what you need to know. Any obligor’s child support payments have the possibility of being reduced or suspended if he or she can show there has been a material change in circumstances. 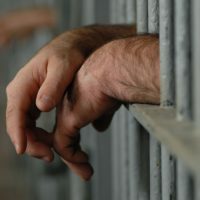 And although incarceration isn’t a guarantee of an adjustment, if the parent can show that he or she was earning an income prior to incarceration and now those earnings have halted, a judge could see this as a material change of circumstances. In addition, if the obligor’s child support has been reduced rather than altogether suspended, Ohio inmates can earn up to $16 a week on work release—25 percent of which may be garnished for child support. What should an incarcerated non-custodial parent do once released from prison? Once the parent is released, he’ll be expected to resume child support payments and pay any arrears that might be owed through the CSEA. This is critical to realize because if it goes unpaid, he could be put back in jail just as quickly for being in contempt of his child support order. Once you’ve reestablished contact with your children, it’s time to start building a relationship that goes deeper than child support. Children of incarcerated parents are more likely than their peers to be incarcerated themselves, abuse substances, suffer from negative self-image and anxiety and show disruptive behavior. Find a reentry program near you that offers parenting classes to help with your transition. Whether you need a divorce attorney to determine your child support at the beginning of a divorce, or need a criminal defense lawyer to represent your case, meeting with the right Columbus lawyer is critical. Recently included in Best Lawyers in America and having consistently secured a spot on the Top 50 Columbus Area Super Lawyers list are just some of Jay’s slew of distinctions and awards. He has spent the past 30 years as an Ohio family attorney, earning the respect and trust of his clients along with the central Ohio legal community.